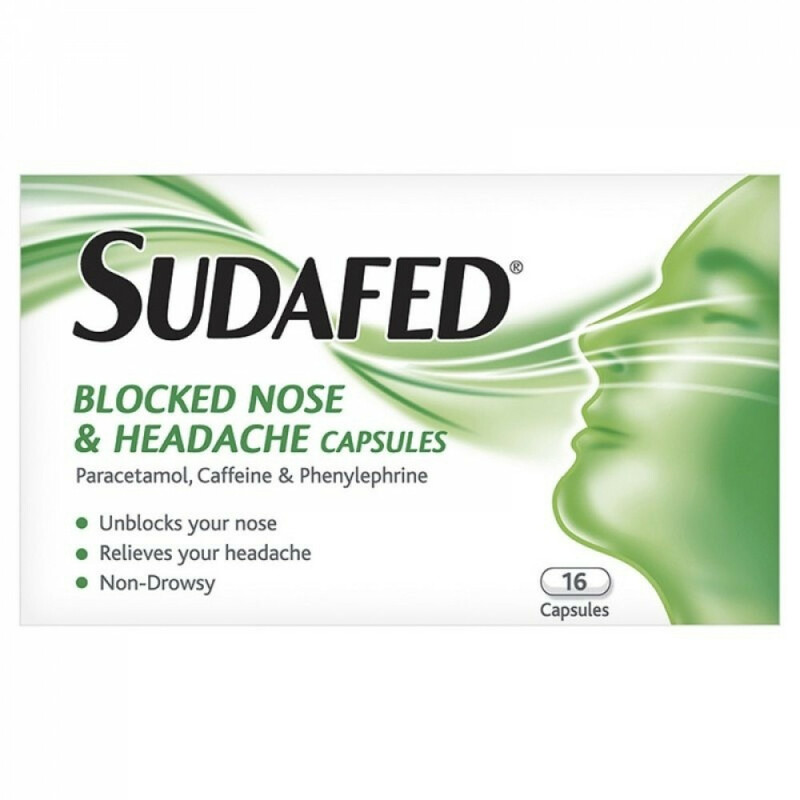 Sudafed blocked nose and headache capsules is an oral medication used to treat cold, flu and other similar illnesses or symptoms. The medicine contains paracetamol too and is used to treat high temperatures. It is also used as a pain reliever, especially for pain arising due to fever and cold. Do not take more than 12 capsules within a 24 hour period. Do not have more than the required dosage. Avoid taking other paracetamol based capsules when having this medicine. Read the ingredients carefully to ensure you are not allergic to any of them. If you have suffered from allergic reactions to medicine before, consult your doctor before taking this tablet. If symptoms persist or worsen after a day or two, consult your doctor and change your medication. Discontinue the capsules if you experience any other discomfort after taking it. One capsule should be taken when experiencing symptoms of cold and flu. Another should be taken after 4 to 6 hours. Depending on the serious of your illness, the doctor may suggest another dosage. The capsules are safe for adults and children above the age of 12. 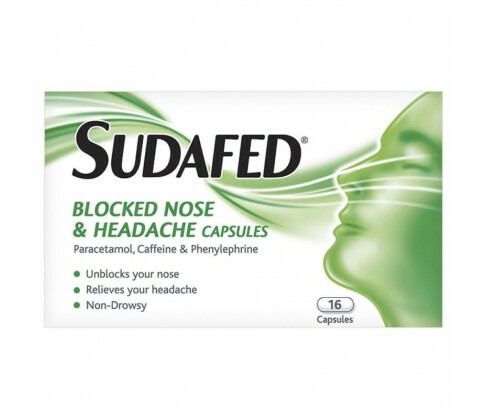 The main ingredients in the medicine are Paracetamol, Phenylephrine Hydrochloride and Caffeine.